What is He asking of you?? Does His voice convict you? Are you willing to sacrifice it all? Will you rise above status quo? When will you answer His call? When I first got saved, I remember praying asking the Lord to give me "World Overcoming Faith". I didn't know what that meant, really..... but I'm starting to get a basic understanding now many years later. I'm pretty sure I haven't arrived yet and will undergo much more "schooling". When I went on my first retreat as a brand new believer. I remember our pastors took us out to this remote place in the country. I had asked if anyone had any music I could listen to while I spent time with the Lord and someone offered me a cd by Kim Hill. Music has always been very influential in my life. Good or bad. Did you know I was listening to Christian music for 15 years prior to becoming one. This is what God used to lead me to Him. I wanted to share one of the songs that has most impacted me. The Lord used this to bring His Truth and a solid foundation to my walk with Him. Whenever I am needing a swift kick in the pants or some motivation on why I am where I am, I listen to this. On the retreat, I listened to this song over and over and as I mentioned above, still do fairly often. I made a vow, a commitment to the Lord, that He could use me and do with me whatever He wanted. (sometimes, I regret praying that because of the intense "schooling" i get in walking by faith) But overall, I am still very much committed. I bring this up to say this - Ken and I have been believing God for a very long time for some specific promises. Promises that allow us the finances to step into destiny, to bless others with those same resources; promises to bring me complete healing; and many more. Last year the Lord showed us a move to a different area of the country. Neither of us have ever been there nor knew anything about the place. In the last 15 months, I have researched and researched everything I could find about that area. I have subscribed to just about every newspaper, Facebook page, police department blotter and local businesses to get a better feel. I have created a long list of prayer points praying specifically for those there. We have been waiting patiently (ok not so much) on God to release us. It felt like we were but yet, we had no idea on how to even take the first step. We sought out counsel from some pretty big "faith" giants that we know. They have been praying with us and leading us. Finally just a few weeks ago, we both heard from the Lord is was time to "go put our feet on the ground" and that everywhere we walk, He will give us the land. The problem was - we don't have the financial resources to go. But we know that God does! If He leads, He meets the needs. One of my brothers offered us frequent flyer miles, the downside is that they only take us 4 hours west of where we are going. The upside to that is that back in 2009 we had a prophetic word that said we would step into our calling through the back door. Well in a sense, we will enter the land on the backside. Hmmm! Our hope is that we would be able to stay on the property we feel God has been leading us to. Though we hold loosely in case He has something different in mind. We initially thought we should wait to book the flights, but then the Lord said if you book the flight in faith, I will create a domino effect that will take care of the rest. We even had a total stranger, prophesy those exact words not knowing of course. Wow! So, the flight is booked! Now what? Well, we need a rental car, gas for the car, lodging and food for a week. God's got that covered! Someone sent us a check that will cover the rental car and so we have reserved our car. That's a big yea God. I really didn't think walking it would be good. LOL! Just a few days ago, we got a 2nd referral to a realtor in the area. After praying, we felt led to contact him to see if he would be willing to show us properties while we are there. We just want to see what else is available - just in case God has different plans. In expressing our interest and sharing that we feel led to build a retreat property, the realtor responded that he thought this town would be the perfect location and that his parents used to run a retreat center in Arizona. There were even some other commonalities and one is that he is a believer! That's a plus! Our story is just a wild and crazy faith adventure - trusting God to provide the abundance we need to make this happen! My prayer is that this realtor will be just the one to walk this out with us! Just this morning, the Lord reminded me once again, that He is pleased with the faith that we have to walk this out. He has promised He won't fail us and that He is with us leading and guiding us each step of the way. 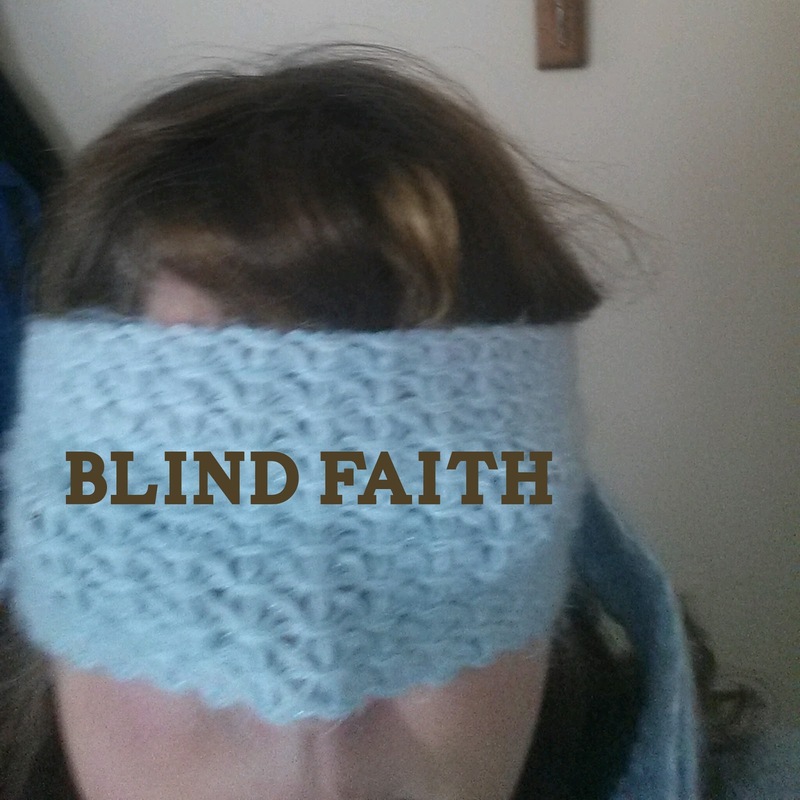 He said that He was happy I chose to listen to the song so many years ago and commit to His call - to walk in "BLIND FAITH". This past weekend we were in KC and saw some of our long time friends, teachers and mentors. We are so thankful for the roots, the foundations and the intense "training" we received from some very great people! God has really blessed us by putting these people before us, to walk with us, to pray for us and to equip us to be who God designed us to be! What an amazing and beautiful gift. We are eternally thankful! I pray that whatever God is asking of you, you can trust Him. He is good! He is faithful and He will not fail you. His promises are yes and amen! He will bring whatever it is He's promised to pass! Just believe!!!!! 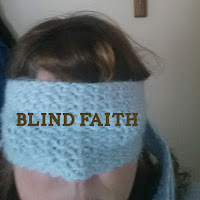 Prayer Request/Praise Reports: Ken - Ken's glasses got fogged up and had to be replaced. God sent provision not only for the exam but for "free glasses" through www.onesight.org that a friend shared with me. What a blessing! Pray for God to continue to provide the shortfall in our income. Michele - Pain levels are high - hips, low back, knee! I'm so ready for my healing! Please pray for much grace until such time. Ministry - I am so excited. We have 2 people from KC driving 2 hours to come to our home group on Thurs nights. They've been here 3 times and are coming tonight. It brings joy to my soul. Do you feel it? Have you noticed an excitement in the air? Recently, several people have approached me asking me if I felt a shift, something being illuminated but yet, can't quite put their finger on it. We feel it too. God is on the move. I can't explain it, but something is about to happen! The world is going to take notice! God is going to get the glory and many are going to be launched into the promises and fulfillment of their purpose, calling and destiny. It's Time! The verse below has been one that God is highlighting this past couple of weeks. Romans 4:20. Abraham received his promise, because he was faithful to believe and continued praising God through difficult times. Now we know that Abraham was human just like the rest of us and there are many scenarios in the Bible where we saw how he went ahead of God and failed. Two weeks ago, Bob Sorge was here at a local church - and he said that even know Abraham did a few no no's, he kept his eyes on the end goal and obtained the promises. He also said that even know our life sometimes is patterned like a roller coaster, we have our ups and downs, as long as we show growth and continue to trust God - we too will obtain the promises God has for us. This devotional was just another confirmation. Are you wondering if you have been disqualified because of unbelief or an occasional doubt? Nah, read this and be encouraged. March 6, 2018He [Abraham] staggered not at the promise of God through unbelief: but was strong in faith, giving glory to God.— Romans 4:20When we first began our TV ministry in the former USSR, I traveled long distances to reach cities where I could become personally acquainted with the directors of massive TV stations and begin a relationship with them that would enable me to negotiate for time on their stations. I always traveled with my associate — and in the early days, I often took my eldest son Paul along with me so he could see and experience the miracles God performed to open doors for our TV ministry.On one such trip, late at night, faith erupted in my heart for the expansion of our TV ministry across all the former USSR. I’ll never forget that moment! Prior to that revelation, we had begun to broadcast the message of the Gospel through our TV program, but I never realized until that night how vast our TV outreach was destined to become. After a full day of exhausting travel and meetings with TV station managers — just when I thought I was about to go to bed for the night — a “spark” of faith suddenly ignited in my heart. It was like dynamite had been detonated in my spirit, and I knew that something massive had been moved in the spirit realm. My spiritual eyes were opened in an instant, and I supernaturally knew that this TV outreach was to be far larger than I had ever dreamed.I asked my associate for a large folded map of the USSR that we carried with us, and I found myself unfolding it and laying it out on the floor of my hotel room. I asked for a magic marker. As if a divine hand was guiding me, I took that magic marker and begin to circle huge geographic areas where the Holy Spirit drew my attention. I knew the Spirit of God was instructing me to take the teaching of the Bible to these vast territories through our television ministry.There had never been Christian TV in the Soviet Union, so we were breaking brand-new ground. Hence, I knew that all the areas where the Spirit led me to circle were virgin territory for the broadcasting of the Word of God. It wasn’t long before the entire divine strategy was laid out on the map before me.My associate and son watched as the Holy Spirit guided my hand and the magic marker. I circled one region, then another, and another, until a massive chain of connecting circles covered one side of the map all the way to the other far extreme. It reached all the way from Riga in the west, across the cities nestled in the Ural Mountains, all the way to Siberia, and over to Vladivostok in the Far East. Also circled were Estonia, Latvia, Lithuania, Belarus, Ukraine, Moldova, Georgia, Azerbaijan, Armenia, and all the southern Muslim Republics. To top it off, I even sensed the Holy Spirit leading me to circle vast territories in Russia’s northwest lands.When I finished, I looked at my associate and Paul, and they were astonished. They had witnessed an entire vision supernaturally manifested right before their eyes as I moved that magic marker! That night we laid our hands all over those circled areas and claimed them for the Kingdom of God. I even laid my whole body across that circled map and prayed for the anointing of God to open doors we didn’t know how to open. There was no doubt that a major event had been supernaturally birthed by the Spirit of God at that late hour in that hotel room. By midnight, it was conceived, put on paper, and already committed to the hands of God in prayer.When we returned to our office, which was at that time in Jelgava, Latvia (where we also lived in those early years), I took that large map, framed it, and hung it in the hallway of our offices. It became a reminder of the vision God had supernaturally given us — a reminder of where we were to go and what areas we were to tackle to get our programs on the air. At the time I didn’t realize that to broadcast in all those areas would make our TV ministry the largest Christian broadcast in that part of the world — over a network of stations that would reach millions upon millions of TV viewers.But that was just the beginning. Once the vision was conceived and put to pen and paper so others could see it, the work had to begin. That meant I would have to travel intensively to all those regions. But first, God would have to open the doors for me to meet with the top TV directors of the largest stations in all those areas. Since most of them were Communists and atheists who were opposed to the Gospel, this would take a miracle.Step by step, God gave us appointments with powerful TV directors — and we watched as those huge, circled areas were seized by the Spirit of God for the broadcasting of our programs. In a relatively brief period of time, doors began to open; agreements were signed; and our TV programs were broadcasted all over the former USSR. It was a first for Christian broadcasting in the former Soviet Union.Naturally speaking, this all seemed impossible. But exactly at that time, God quickened my heart to the story of Abraham and Sarah. Although they were too old to produce children, God made a promise to them — a promise and vision that seemed too fantastic to believe: that they would give birth to a child in their old ages. Romans 4:20 tells us that in spite of the overwhelm- ing odds that seemed to be stacked against them, Abraham believed what God had told him. It says, “He [Abraham] staggered not at the promise of God through unbelief: but was strong in faith, giving glory to God.”Abraham could have doubted the possibility of having a child, or he could have easily convinced himself that this dream was impossible. But the Bible says that Abraham “…staggered not at the promise of God…” (Romans 4:20).That is exactly how I felt about the vision God had put before me. I knew that God had spoken to me, and as impossible as that vision seemed in the natural, a faith was ignited in my heart that pushed me into the realm of supernatural possibilities. Just as Abraham “staggered not” at the promise of God, I found myself standing in faith, confidently assured, that I had heard from God. Although this vision seemed bigger than anything I could ever accomplish, it was one that had been birthed by the Spirit of God — and I knew in my heart that I could not “stagger” at what God had shown me.Abraham was a man who made many mistakes along his walk of faith, but Romans 4:20 says one thing he did right is that he did not “stagger” at what God had promised him. Regardless of his humanity and blemishes in his character, Abraham knew that God had spoken to him, and he held tightly to what God had promised.The word “stagger” in Romans 4:20 is derived from the Greek word diakrino, which means to waver. It pictures one who is doubtful, constantly changing his mind about what he believes, wobbling in his faith, and vacillating back and forth. In other words, this person is unstable in what he believes.James 1:7 declares that a man who wavers cannot receive what God has promised: “For let not that man [a wavering man] think that he shall receive any thing of the Lord.” And then in verse 8, James likens a wavering man to a “double-minded” man. In Greek, the word “double-minded” is dipsychos, and it pictures a man with two minds. One mind directs one way, and the other mind directs another way. As a result, he is pulled in two directions, constantly fluctuating in what he believes. One day he believes; the next day he doesn’t believe. Thus, even if God has made a promise to such an individual, this constant vacillation will keep him from receiving it. Being “double-minded” is serious business — so don’t be double-minded!Those who do not stagger are single-minded about what God has told them. They stand in a solid, convinced position, and they hold tightly to what God has told them. Heart, soul, and mouth — all are in agreement with that which God has promised. Although they may have imperfections that seem glaring to them personally, this one quality of being single-minded and unwavering is enough to bring the manifestation of what God has promised them, regardless of their other flaws.Abraham took such a position of faith. He was single-minded about what God had promised, and he did not move, budge, or waver. The vision he saw went directly into his heart, and he did not vacillate on believing God would fulfill His promise. That confident foundation of faith carried Abraham through many years of waiting — and because of this non-negotiable stance, he and Sarah received the son God had promised.That is what happened to me in the early days of our ministry in the former USSR. God spoke. I believed. And a sure confidence came into my heart that carried Denise and me through numerous battles and challenges until, finally, we began to see our TV program spread far and wide across the former Soviet Union. Because we did not stagger at the vision God had revealed, the Gospel ended up being broadcasted into millions of homes across the 11 time zones of the former USSR. 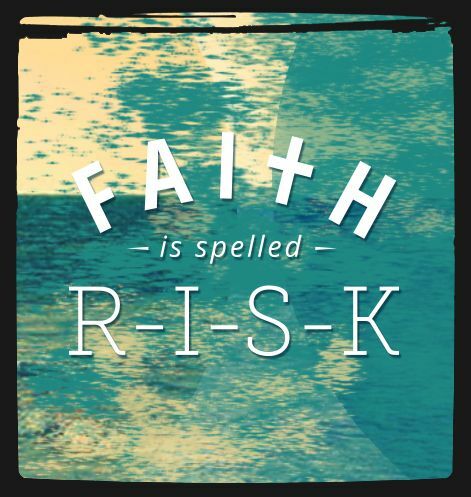 It may have seemed far-fetched when God first revealed His plan, but God delights in making the “impossible” possible for those who do not waver in their faith!What are you believing for in your life right now?Has God shown you a vision for your life that you know you are supposed to accomplish? God wants to do the far-fetched for you! But like Abraham and others who have seen the impossible come to pass, you must be steadfast and stable in your stance of faith — not moving, not budging, and not wavering. You must resolve to stand in faith and give glory to God that what is impossible with men is possible with God.Today I encourage you to pray the prayer below and speak out from your heart the following confession. Ask God to ignite faith in your heart that will cause you to become immovable in your stance of faith regarding what God has promised you. Never let the devil convince you that your dream is too far-fetched, because with God, all things are possible!MY PRAYER FOR TODAY Father, I thank You for revealing Your plan for my life. When I first understood the greatness of what You wanted to do through me, it boggled my mind. But now I understand that all things are possible to those who believe. Like Abraham and others who have seen You do the impossible in their lives, I believe that I will see my seemingly impossible dream come to pass in my life. You will always do exactly what You have promised to do. 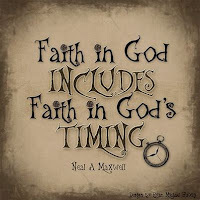 Ignite faith in my heart to believe, and help me stand firm, stable, and unwavering in my faith. Help me stay focused until I receive the manifestation of what You have revealed to me about my life! I pray this in Jesus’ name!MY CONFESSION FOR TODAYI boldly confess that I will see the manifestation of what God has revealed to me about my life. Naturally speaking, it seems grandiose and far-fetched, but God delights in doing what seems impossible for those who believe, and I am among those who believe. 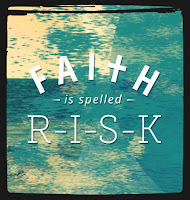 I declare that my faith is confident and solid — that I do not waver or wobble in my faith! And I do not doubt the vision that God has shown me concerning my life. It’s not a question of “if ” it will happen, but merely a question of “when” it will come to pass. Until then, I will remain spiritually strong and stable, not staggering at the promise of God! I declare this by faith in Jesus’ name!God has given us a dream, a vision and we are believing for it to come to pass. 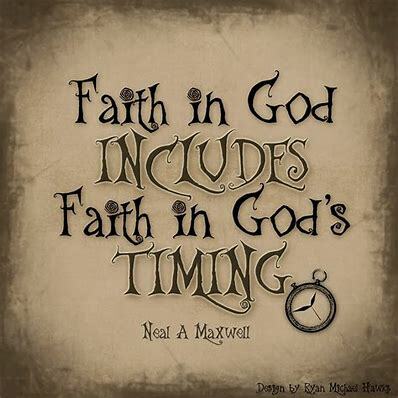 We don't know when, but we are trusting Him for the perfect timing! 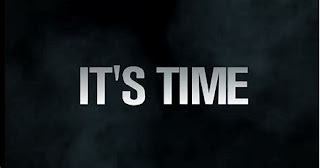 We feel the time is now! Many prophetic voices are hearing similar things! The Lord is the one who gives each of us a measure of faith (Romans 12:3). Our faith says it will happen! We've been hit on all sides. The enemy is trying everything he can to get us to waver, be discouraged, curse God, etc...... but thankfully we have the Holy Spirit who is for us and is cheering us on and leading us into victory. But thanks be to God, who always leads us as captives in Christ's triumphal procession and uses us to spread the aroma of the knowledge of him everywhere. 2 Corinthians 2:14 If you have something you are believing God for, stand firm. Trust that He will be with you every step of the way and though times can be excruciating difficult, He will lead you on the path He has for you and bring you through! Prayer Request: Ken - For strength to continue to manage our finances. Pray for additional income revenues. And courage to stand in the midst of need.Michele - Sleep is improving! Praise God! Pain levels still high, but am starting to do some exercises (limited) hoping to help. Pray for focus and the right words as I continue to slowly plug along at three books I am writing that I feel the Lord has asked of me. Please pray that things I post for sale would sell! Ministry - Thursday nights are going well in our small group. We are also helping someone launch their ministry here and that's going well. Please pray for God to bring for the provision for us to step fully into destiny.